LAS VEGAS, NV – 5/31/2016 (PRESS RELEASE JET) — De’Ante Smith, born into a talented family. It is only natural that he was thrust into stardom, but his ambitions and creativity. Starting singing in church, writing poetry, it was only a matter of time when his singing and writing skills would land him in the arms of Hip hop. His lyrical and singing inspirations from Stevie Wonder, Luther Vandross, Jamie Foxx, Michael Jackson, Smokie Robinson, Tupac, Run DMC, and Tribe Called Quest to name a few. This talented singer and artist has thrust himself into the mainstream. With a co-sign from West Coast artist The Game under his belt, he has taken off into different arenas. With his release of his hit single ” Right Now Right Now”, he has proven that he is the next star to come out of the West Coast. This dedicated father and businessman has become a legend in just a matter of time. He pens stories into his rhymes, which fans fan all relate to. 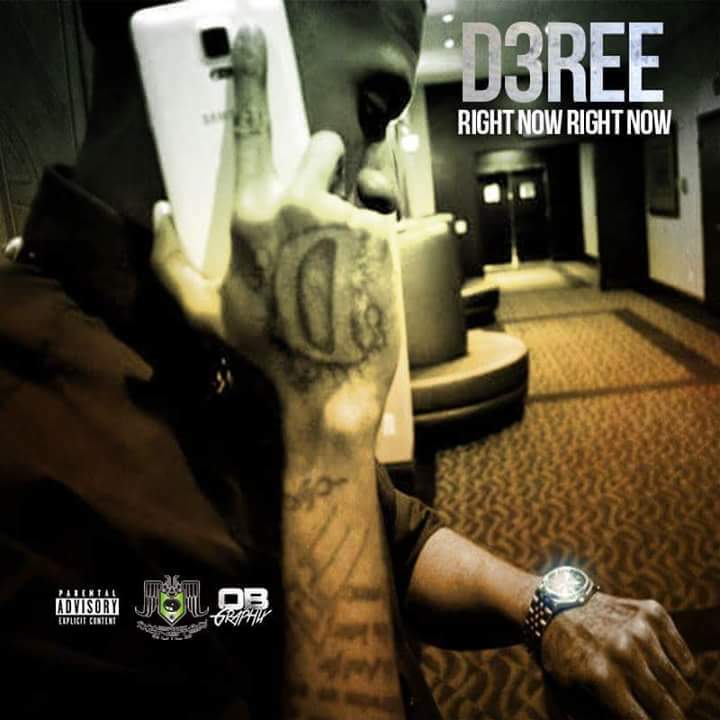 D3REE has many goals, but one of his goals is to inspire the youth to stay after their dreams.